The arrival of 5G networks in the UK later this year could result in £15.7 billion in additional business revenue for the economy by 2025 – but only if organisations gain greater awareness and understanding of the potential of the technology. A report from Barclays says it is optimistic that this can be achieved, citing the fact that all four mobile operators have committed to launching 2019, and says at the current pace of development and rollout, the figure will be closer to £13 billion. However, it has warned that unless more is done, the opportunity could be much lower at £8.3 billion. Half of all UK businesses benefit from 4G and ultrafast broadband to work across disparate locations, better communicate with customers, and to connect multiple machines and devices. But just 39 per cent of business decision makers know how they can make the most of 5G. 5G networks will offer ultrafast speeds, high capacity, and ultra-low latency, making them ideal for business applications such as the Industrial Internet of Things (IIoT) and autonomous vehicles. Meanwhile, the growth in revenue would extend beyond traditional metropolitan areas and benefit the entire country. Awareness also tends to fluctuate according to industry. In the Technology, Media and Technology (TMT), logistics, business services and manufacturing sectors, as many as a third of businesses are investing or plan to invest in 5G. However, it is distribution (£3.6 billion), manufacturing (£2 billion) and professional services (£1.1 billion) that stand to gain the most. “The rollout of 5G offers a huge opportunity for the UK. We’re seeing massive potential for business growth, which ultimately delivers a positive knock-on effect for the whole economy,” said Sean Duffy, head of TMT at Barclays. 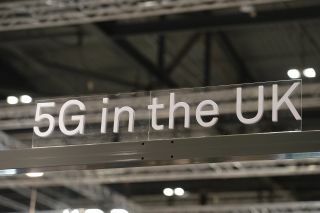 “While the Government and network providers are already working hard to introduce 5G in the UK, we found that businesses do not yet have enough clarity about how they will benefit in the long-run. What’s more, nearly four in ten business leaders still aren’t entirely sure what 5G is.